Ontario member of the legislature Jagmeet Singh says he signed up 47,000 of the NDP's 83,000 new members, but is it enough to give him a lock on the party's leadership? 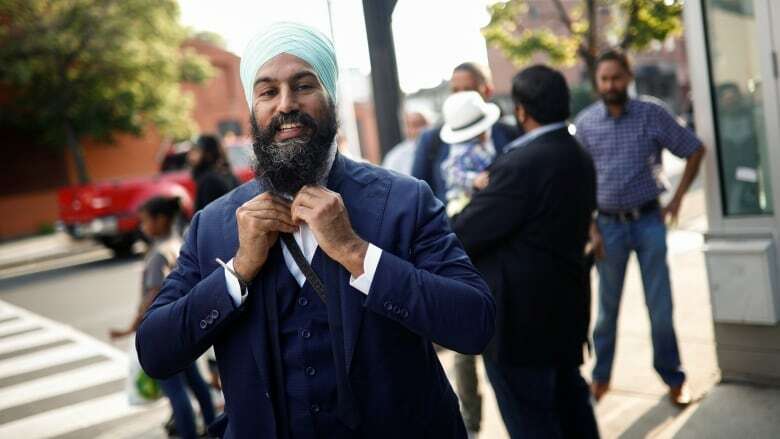 To put himself into serious contention in the NDP leadership race, Jagmeet Singh, a member of the Ontario legislature, needed to sign up thousands more members than his three rivals to make up for his apparent deficit among the party's existing membership base. Figures released this week suggest he has done just that. Not only has it put him into contention to win it all, it has made him a potential first-ballot victor. But how realistic is that possibility? When voting begins in less than three weeks, 124,620 members will be eligible to vote in the federal party's leadership race. With 41,000 members in March, 83,000 new members were added to the party's rolls before the eligibility cut-off on Aug. 17. Singh's campaign says it signed up more than 47,000 of those new members, a claim that cannot be verified by the federal party but has been put into question by Charlie Angus's campaign — a complaint that has also been put into doubt. Jesse Brady, co-campaign manager for Angus, told the National Post that Singh's claim did not add up, as their records showed 70,000 on the membership rolls in May, before Singh entered the race. If Singh had indeed signed up 47,000, that would leave just 7,000 members divided among the other campaigns, an unrealistically low number. But the party says the membership list visible to all candidates would have only showed about 41,500 at the end of April and 53,000 in July — meaning that the remaining 71,000 members had yet to be signed up or were registered by one of the candidates. The latter memberships were not shared with other campaigns until the eligibility deadline had passed. 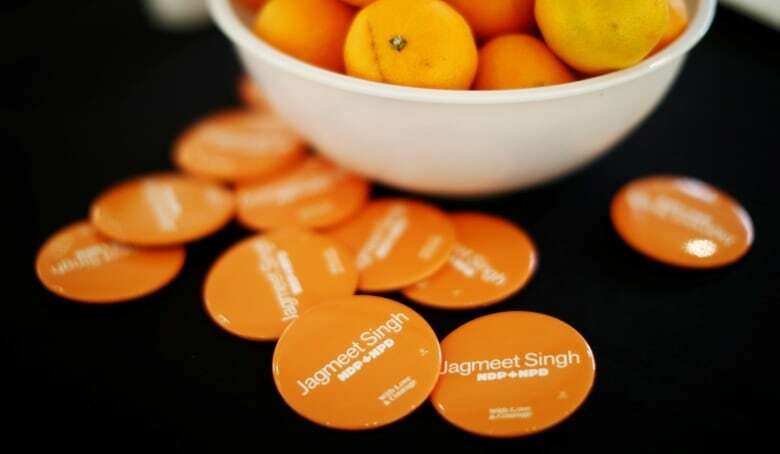 Multiple NDP sources considered Singh's reported tally to be plausible and suggested that Angus's team may have counted people whose memberships had lapsed. These members were included in contact lists provided to the campaigns earlier in the race. That Singh raised more money than the other three candidates combined in the second quarter of 2017, despite launching his candidacy only halfway through the reporting period, adds credibility to his claim. Additionally, the only province to see significant growth in membership since the 2012 leadership contest is Ontario. Singh has claimed more than 30,000 of the 52,000 members there, with more than 25,000 of them coming from the Greater Toronto and Hamilton Area. This aligns with Singh's fundraising data, which showed significant support in Ontario and particularly from the Sikh community in that part of the province. Assuming Singh's count of 47,000 members is correct, that alone would account for 38 per cent of all eligible voters. It is an enormous figure, bigger than the party's entire pre-existing base. And it could turn out to be an even bigger proportion of those who will actually cast a ballot. The NDP shares membership with its provincial parties, so not every member is necessarily interested in the federal leadership contest. The figure of 124,620 members includes those who have signed up to support leadership candidates in Saskatchewan and Manitoba, for instance, or those participating in provincial nomination contests, including in Ontario where an election is less than a year away. Turnout was only 51 per cent in the 2012 leadership contest, suggesting that a significant portion of the membership may have had a more local focus. In the Conservative leadership race which came to a close in May, turnout was only a little higher at 55 per cent — though that may have been deflated by the withdrawal of Kevin O'Leary, who claimed to have signed up about 35,000 of the 259,000 eligible voters before he threw in the towel. But the Conservative contest demonstrates how membership sign-ups do not necessarily turn into votes. Combined, Maxime Bernier and O'Leary (who endorsed him) took in about 40,000 votes on the first ballot, according to an unofficial tally of raw votes. But they had claimed to have signed up more than 65,000 members altogether. Kellie Leitch, who claimed more than 30,000 members, received only about 9,000 votes. So the key question for Singh will be how many of those 47,000 will actually bother to cast a ballot. Enough for a 1st-ballot win? Assuming that new and pre-existing members will vote in similar numbers (as was the case in the Conservative leadership contest, according to a party source), Singh's sign-ups should easily put him at the top of the rankings on the first ballot even if he doesn't earn a single vote from pre-existing members. An earlier analysis suggested he needed to sign up more than 14,000 new members than Angus in order to finish ahead of him, based on how the candidates were polling among the existing membership base. Singh's claim suggests he signed up 11,000 more new members than of his rivals — combined. Even if Angus was responsible for every other new member, and assuming the most recent Mainstreet/iPolitics poll (which gave Angus 42 per cent support among decided pre-existing members, compared to 14 per cent for Singh) is accurate, that would only put him in a tie with Singh on the first ballot. But in order to win outright on that first ballot, which requires a majority of votes cast, Singh needs to increase his support among the pre-existing membership. Turnout alone is unlikely to give him the win. A rough estimate (based on his new sign-ups and polling support among the pre-existing base) suggests he would need turnout of about 70 per cent among his supporters, compared to 50 per cent among those of his opponents, in order to win outright. Getting his supporters to vote in such unrealistically bigger numbers than those of his opponents will be a challenge. He will instead need to increase his support among the existing base to win it all. Announcing that he has signed up more new members than his rivals combined might be one way to build the momentum he needs to carry him over the finish line. Potential NDP leader Jagmeet Singh might not rush to join the House. Is that a problem?